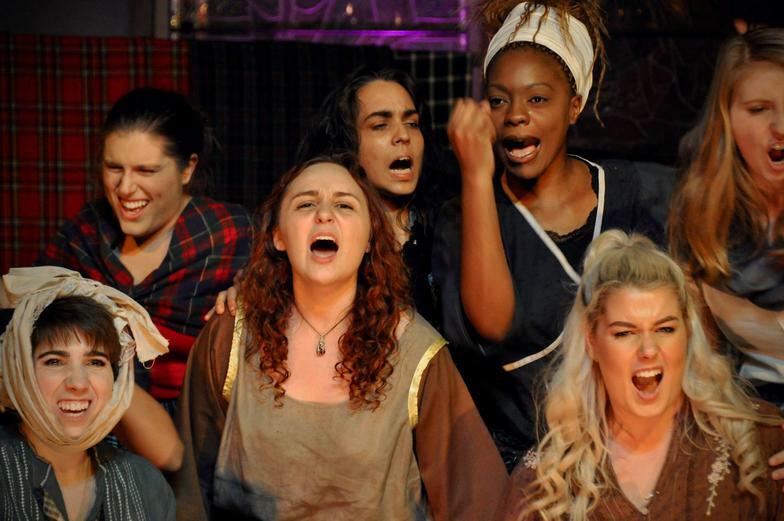 A one-act operetta for ten female singers, celebrating the poetry of Robert Burns through the lives of 1790s Scottish women. 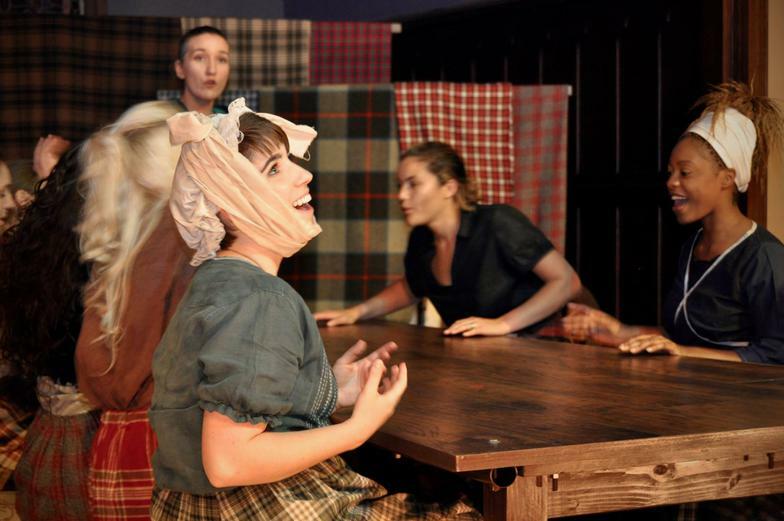 Set in the late 1790s on the mainland in Scotland, 'Waulking in the Glen' invites you to spend fifty minutes with ten lassies and ladies as they 'waulk' their cloth; all the while sharing their loves and losses, their dreams and passions, their hardships and joys. 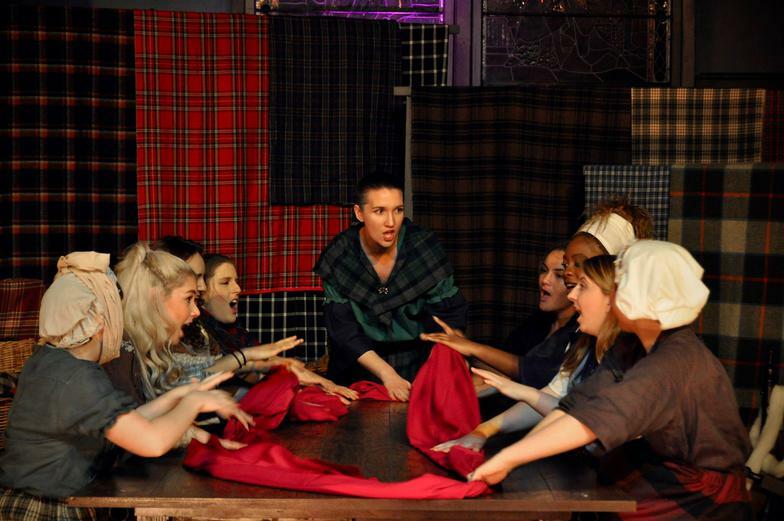 The lassies and ladies meet on a regular basis to waulk: the final stage in the process of making tartan cloth. The process commences with the sheering of sheep, followed by the spinning of the sheep’s wool, the weaving of the spun wool, and then the waulking of the woven cloth. Waulking causes the woven cloth to thicken and soften. This final process in the creation of cloth is tedious, back-breaking work which can take up to a full day at a time. 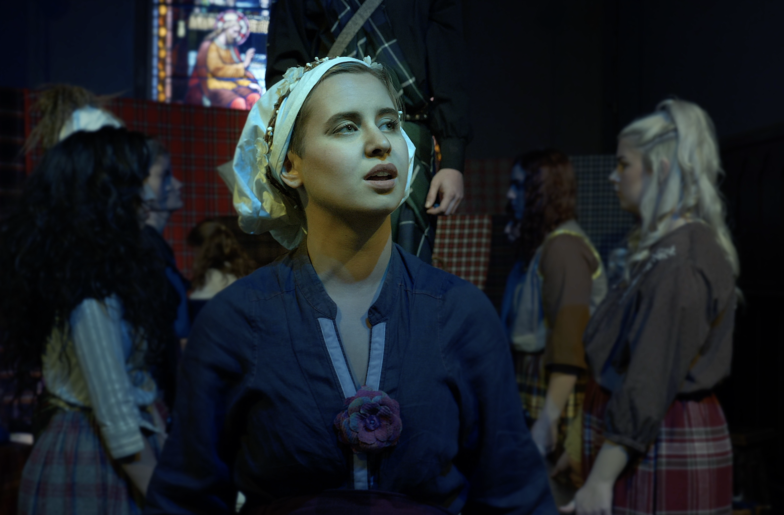 Therefore, the lassies and ladies sing ‘call and response’ waulking songs as they work. In this village the lassies and ladies meet in the local kirk, built by the laird of the castle for the villagers. 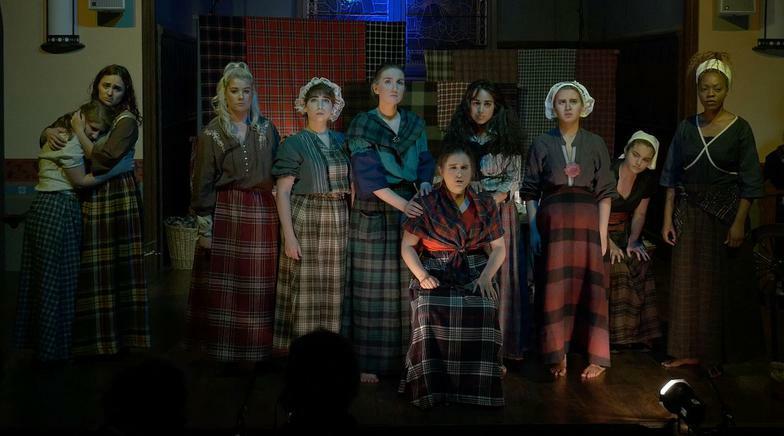 The tartan not only clothes the villagers but also serves as a cottage industry, bringing in a small but extremely necessary income for the women. The native tongue is Scots, with a few newcomers from the Western Isles speaking The Gaelic. Ladies with a husband wear a white scarf, instead of a wedding ring, in order to show their marital status. Music, poetry, story-telling and dance are central to their lives and the documentation of their people’s history, as witnessed in their ceilidhs. It is a sea-faring village as well as a farming village on the west coast. All of the farmers are tenants of the laird of the castle and therefore work his land while some of the women-folk work in the castle. Village men have been lost at sea both on fishing vessels and merchant ships. Some village men have had to leave the village in order to find work. Others are in hiding due to their refusal to pay taxes to, or their outlawed activity against, the landed gentry. Morag is from the Isle of Eigg in the Western Isles. She moved to the mainland after losing her fishermen husband and sons. The process of waulking was an island tradition. Therefore, Morag has taught this process to the village women in order to provide them with an industry. Jean is the village midwife. She has dedicated her entire life to helping others. Margaret was adopted in Malawi by Scottish medical missionaries and chose to return to Scotland with them. She now is a farmer’s wife and has grown children. Ailsa was deserted by her husband. Heather was fortunate enough to attend the University of Glasgow, and will be presenting her first public address in a few day’s time. Peigi is a young mum-to-be, whose husband is away searching for work. Shiona is a maid at the castle whose beau is away from the village. Catriona is currently a maid at the castle, but dreams of being an opera singer. Fiona is a young lassie, still living at home with her parents. 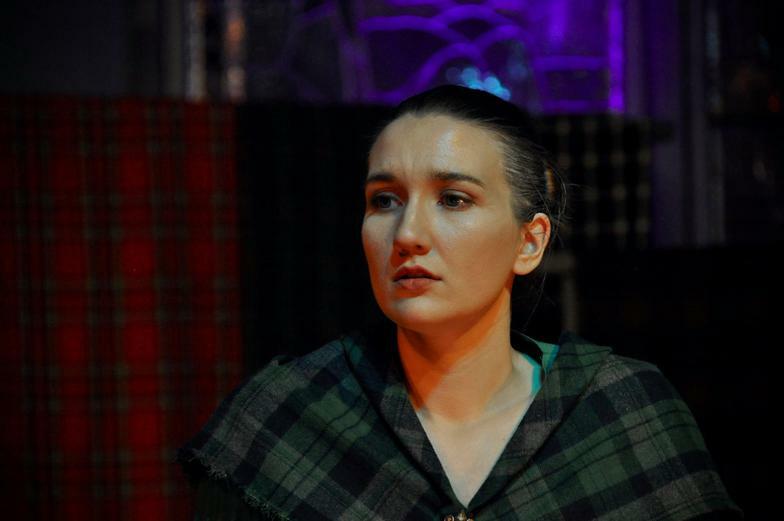 Eilidh is a young waif from another village, sent by her family to help Peigi through her pregnancy while her husband is away.